Long before the word frenemy hit the buzzword bingo board, the proverb of complex relations was “the enemy of my enemy is my friend.” In the increasingly tangled melting pot that is online media and advertising, the sentiment is as true now as ever. 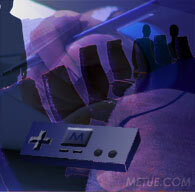 Today, competitors are often cooperative colleagues at the same time. Proof: rivals Fox (News Corp) and NBC/Universal jointly developed popular web video portal Hulu despite otherwise battling each other for prime time TV audiences. More proof: Microsoft is drawing competitors together to guide the development of its newest ad management tool, Pub Center. Using the Interactive Advertising Bureau’s annual meeting as a launching platform, Microsoft announced a Publisher Leadership Council on Monday. The group joins together rivals including Dow Jones Online and the New York Times, as well as Time Inc., Viacom and IAC/Interactive. 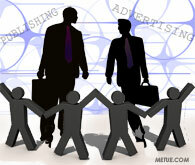 Normally, these companies compete aggressively with each other for ad dollars and audiences online. 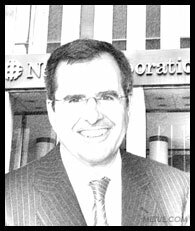 As the President, COO and number two executive at News Corp for the last twelve years, Peter Chernin has long been counted among the most powerful men in the media industry but his position has always had a footnote. Unlike other executives in similar roles, outsiders have rarely considered Chernin a likely candidate to ascend to the company’s CEO throne. The honor of one day leading News Corp, though ultimately a board decision, has generally been assumed reserved for one of Rupert Murdoch’s sons. This lack of upward mobility has fueled consistent rumors about Chernin’s eventual departure. Today, they’re now fact. 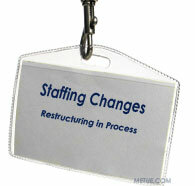 Reports are confirmed that when Chernin’s five year old employment contract expires June 30th, it won’t be renewed. Both Chernin and Murdoch have issued memos to staff making the announcement. (The letters are reprinted below in their entirety as is the company’s description of his employment agreement). Chernin joined News Corp in 1989. After heading up Fox Broadcasting and Twentieth Century Fox, he became President and COO in 1996. Not that Nintendo needs any help, the company’s already dominating its competition in the US, but an added boost is due this spring. 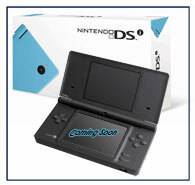 Nintendo announced Wednesday that the third generation of their popular Dual Screen (DS) portable will come stateside on April 5th. Available in Japan Since November, the DSi expands on its predecessor with the addition of two cameras (one outward facing and one facing the user), enhanced audio /MP3 functionality and a dedicated SD Card memory slot to help support WiFi delivered downloadable content or facilitate music and photo storage. The DSi also features upgradeable firmware. Fitting squarely into Nintendo’s proven strategy of reaching as wide an audience as possible, the DSi is a device tailor made for mass appeal. The twin cameras open the door to new types of interactive game play while at the same they time bring photo manipulation tools otherwise unseen in gaming devices. Photo albums can be created, stored and shared. Images can be stretched, shifted, cut out or colored in. In September, the HTC Dream, the first phone built around Google’s Android O.S. 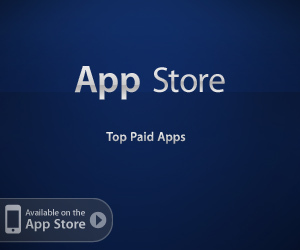 was introduced to the market with all the fanfare of a new smartphone aiming for a share of the iPhone’s spotlight. 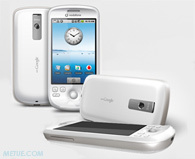 Tuesday, like pictures of a celebrity newborn, the G-Phone’s sibling was revealed. HTC, together with Vodaphone, showed their Magic. The new phone will offer a 3.2” touch screen, a higher capacity battery and a 3.2 mega pixel camera to European customers waiting on an Android based phone. Unlike the Dream, the Magic will not feature a slide out keyboard to compliment its touch screen. (A side by side feature comparison of the two HTC Android phones is available below). Over the concerns of some lenders, today Midway Games got a green light from the US Bankruptcy Court for the District of Delaware to continue to run its U.S. operations as usual as it moves forward. The authorization for the “first day motions” will allow the company to press ahead with the bankruptcy filing Midway completed last week (The complete filing is available here). Payroll, price protection mechanisms and Market Development Fund obligations will be paid from the company’s cash position. Not all creditors agree. In an objection motion filed last Friday (which is embedded below) several voiced concerns suggesting that the bankruptcy, and the situation that created it, could evolve as an end-run around Midway’s debt obligations for the best interest of its majority owner but to the detriment of the creditors themselves. Microsoft’s Entertainment and Devices division has taken its share of the hits in the company’s efforts to restructure its costs. Already, Ensemble Studios (maker of Halo Wars) and ACES (makers of Flight Simulator) have been shuttered while the Zune project group has been subdivided into two teams. Job cuts are expected to be limited but not non-existent. As a positive side note: some of the staffers from Ensemble Studios have already built themselves a new home. If you follow the earnings announcements from gaming companies, it might be easy to conclude the industry is taking its share of licks from the recession just as other sectors are. There’s a bankruptcy here. Plenty of guidance revised downward. Missed numbers there. It’s an easy conclusion to make but it wouldn’t be quite right. Register receipts at retail tell a different story. Demonstrating a clear gap between the operational performances at individual companies and an industry’s broader health, NPD retail data for January released this week showed the gaming sector grew steadily. All segments – software, hardware, accessories – reached double digit year over year revenue growth. As with December results, it was slow and steady, reliant on a few key constituents more than others (namely Nintendo), but still solid.